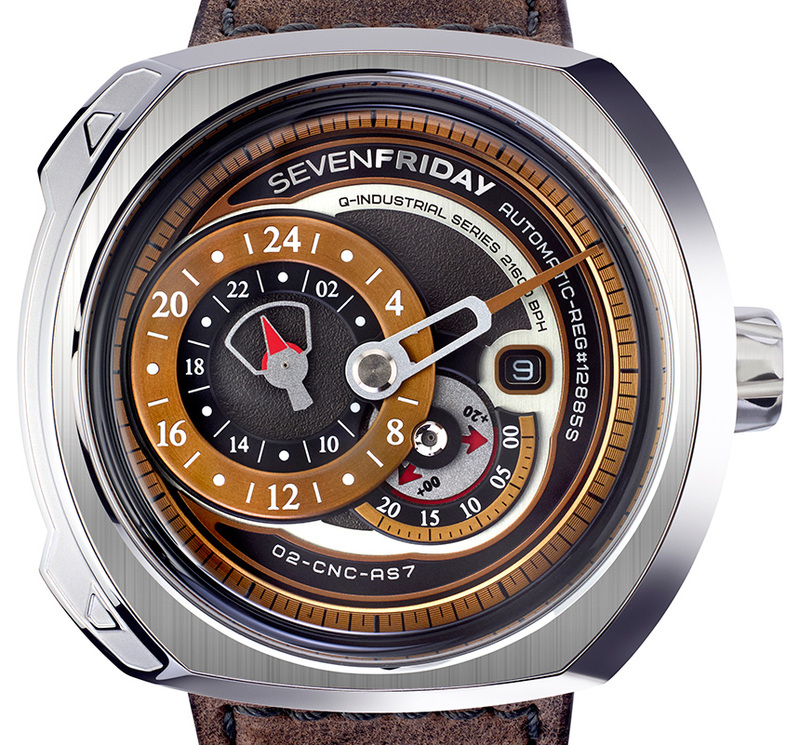 SevenFriday brought a new breath to its product line with the introduction of the new Q Series. 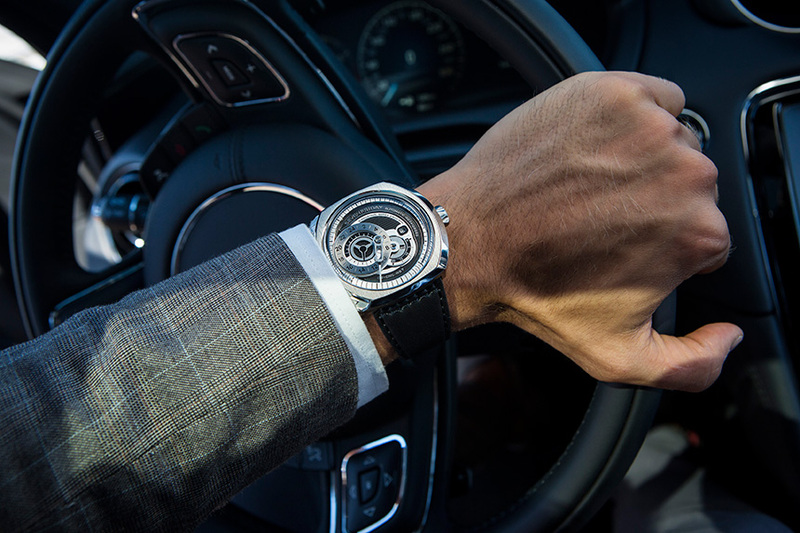 The new Q Series is offered in a stainless steel Tonneau shaped case measuring 44mm. 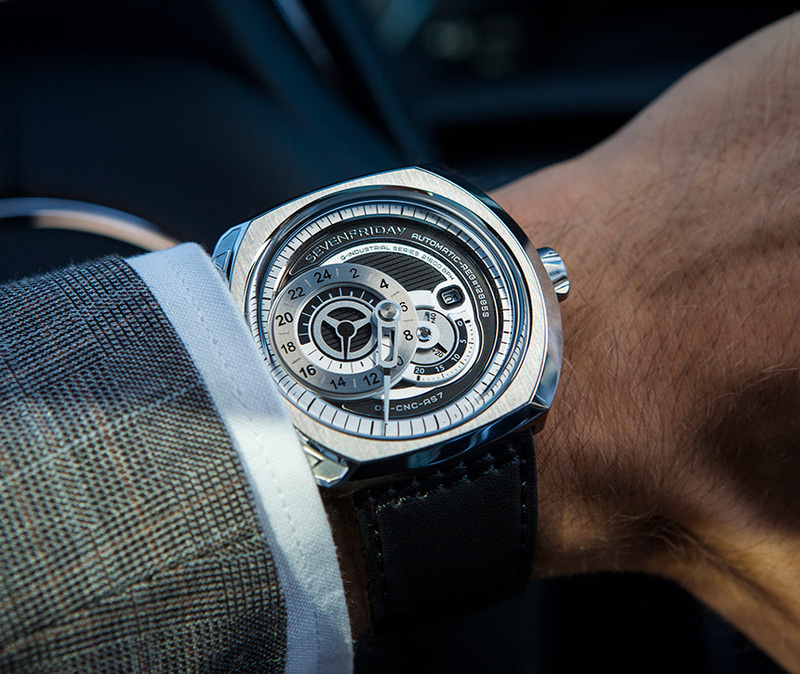 The case still sports a sapphire crystal and a WR rating of 30M. The new models are powered with the automatic Miyota Caliber 2819. The movement offers 40h of power reserve when fully wound and a hard-to-believe accuracy of -20/+40scn. per day. Despite the successful sale figures and increasing MSRPs, the brand continues with the mineral crystal, WR30M rating and that base movement which makes us all ask Why..? 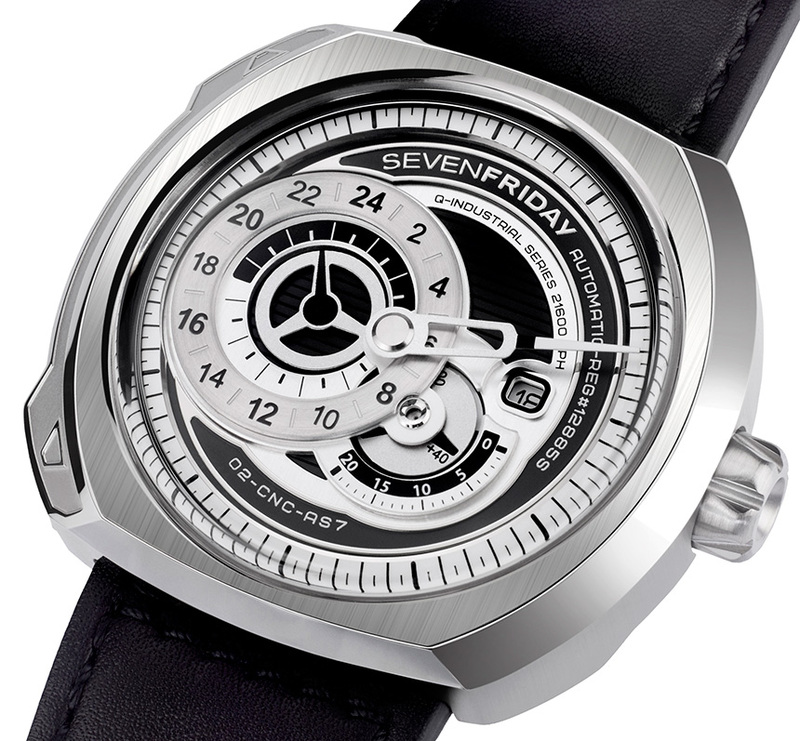 The case features SevenFriday’s typical no-lugs design and the easy strap change system. The hour hand which makes a single full turn in 24h and small second are the standards. 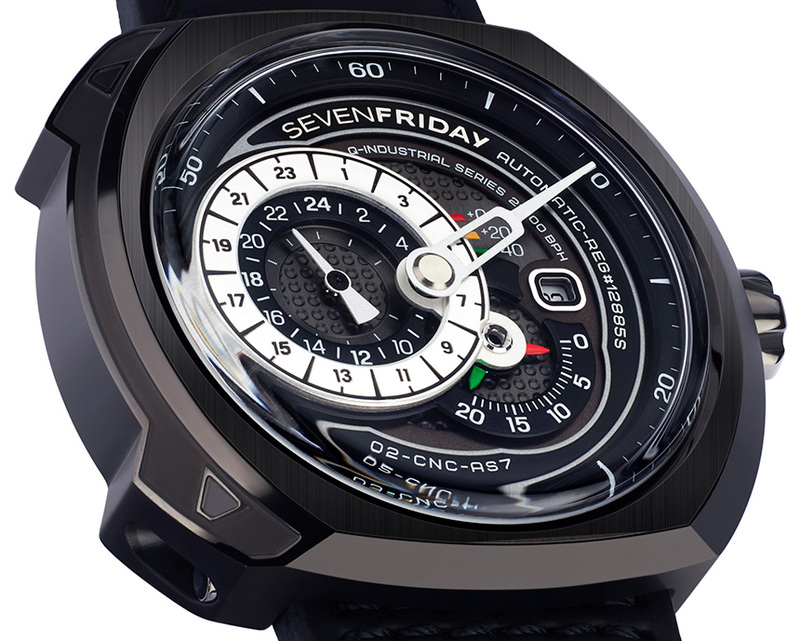 As a first time, SevenFriday Q Series sports a date display window. 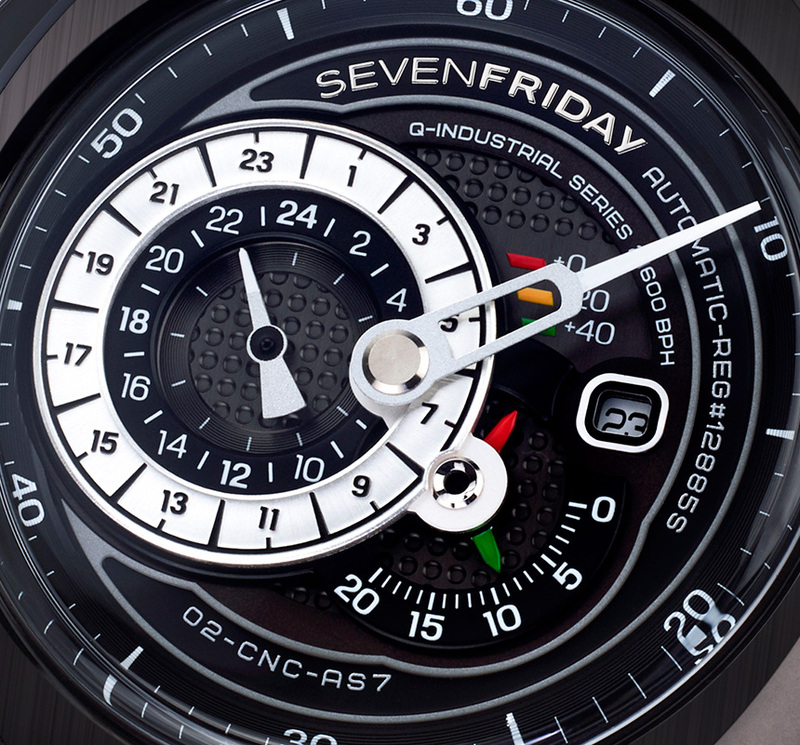 We are grateful to the SevenFriday engineers for designing an actually readable dial esp. after V Series. The NFC chip placed at the caseback of the watch allows the user to authenticate the timepiece through any RFID reader. The Q Series will be offered in three different versions. Q1-1 and Q1-2 will sport stainless steel cases while the Q1-3 features a PVD coated stainless steel case. The watches will be presented in a wooden watch box. The new Q Series provides an expensive feel with its overall design. The brand seems to be the leader of its league if the details like mineral crystal, entry level movement and etc. are not considered.